The film featured interview clips from many big names in the plant-based world (Drs. 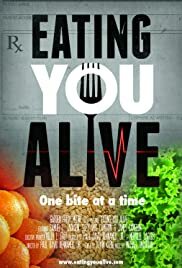 Campbell, Esselstyn, Greger, McDougall, Fuhrman, Barnard, Ornish, and Stoll) plus many other lesser-known doctors who promote plant-based eating in their practices. But the main thrust of the film was testimonials from LOTs of real-life patients who had been seriously ill and/or morbidly obese. Their health had spiraled downward to the point of being scheduled for radical surgeries or debilitating treatment, and most were told they only had a short time to live. Their ailments ranged from heart disease, stage 4 cancers, lupus, rheumatoid arthritis, type 2 diabetes, autoimmune diseases and much, much more. Doctors had told them their conditions were genetic and nothing could be done to change their outcomes. And most of them skeptically turned to a WFPB diet as a last resort before succumbing to further treatment. Their lives were completely changed. It’s truly amazing how the body can heal when given the right nourishment…..many of the people couldn’t get through their testimony without shedding a few tears! The film also discussed the dangers of consuming oils, how our government is influenced by (and subsidises) the meat and dairy industries, how drug makers influence (and train) our doctors, the dangers of consuming dairy, the myth surrounding athletes and animal protein, how animal agriculture affects our environment, and how horribly factory animals are treated (it’s truly heartbreaking). Celebrities that were interviewed included Penn Jillette (of Penn and Teller – see photo at right), Samuel L. Jackson, and director James Cameron and his wife. All told their stories of how a WFPB diet impacted their lives. Very short cooking demos were given by Brandi Doming (the Vegan 8 website): Garlic Alfredo Sauce; Lindsay Nixon (Happy Herbivore): Cauliflower Hot Wings; and Miyoko Schinner made her Mac and Cheese recipe. 5) Make a plan. Throw out the bad food! And every kind of fruit-bearing tree, given them to you for food. I give whatever grows out of the ground for food.” And there it was. What is The ‘Plan A’ Diet?